Princess' Paper Projects: Little Red Wagon Challenge #367 ~ Let's Get Sketchy! Little Red Wagon Challenge #367 ~ Let's Get Sketchy! Good morning. It's Wednesday and time for a new challenge at Little Red Wagon. I am the hostess for this week and my challenge for you is to follow the sketch posted below. I enjoy using sketches as a starting point. 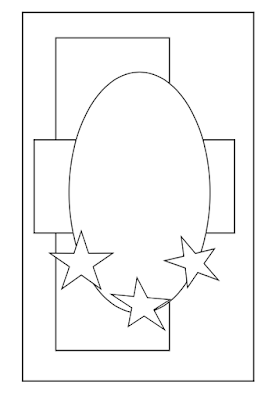 You can flip it, add embellishments where I have them (or not) as long as I see the basic sketch in your project. 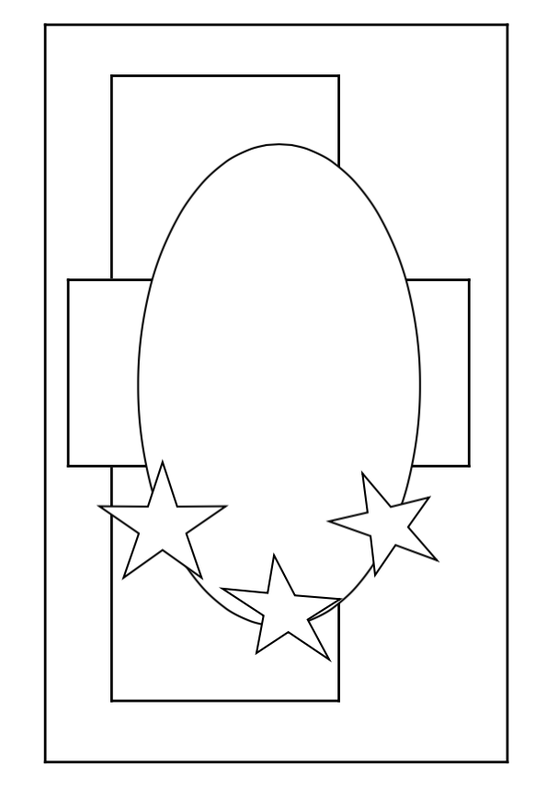 The image is from a children's colouring page and I have no idea the source. It is coloured with Copic markers. Patterned paper is Lawn Fawn Christmas plaids. All embellishments are from my stash. I hope you can play along. Head on over to Little Red Wagon, check out all the inspiration from the other girlfriends and link up your version of the sketch. I am looking forward to seeing what y'all create. Adorable! I love how you coloured the bear! Such a fun sketch, Heather! We should do sketches more often. Your card is adorable! 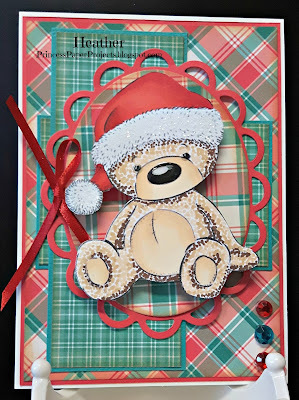 Such a darling little bear and I'm loving those fabulous papers too!